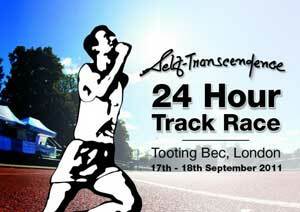 Fine weather attended the Self-Transcendence 24 hour race at the Tooting Bec track in South London. 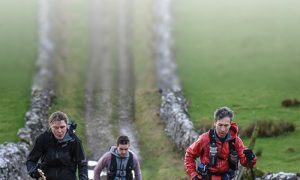 The race was sold out early and 44 runners began the UK’s longest running 24 hour race. 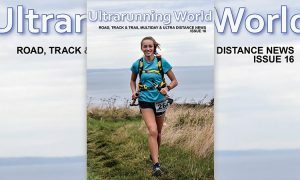 The last few years has seen the Race Director Shankara Smith move the race date a month earlier to take advantage of warmer weather and apart from an early evening shower conditions were generally fine. Some of the regular names were absent with the Commonwealth Games 24 hour race being held the following weekend but of course this left the door open for new friends. 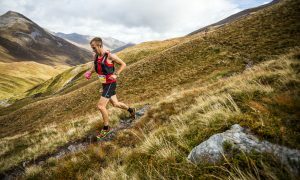 Nathan Aspinall led early on until around the 11 hour mark when he was passed by Simon Handley who held the lead for the next three hours or so when Dutch runner Peter Van Winjngaarden edged in front and held on despite a strong push from Handley in the last couple of hours. In the ladies race Ann Bath ran well to take the win ahead of Frenchwoman Cecile Salomon. Sixteen runners crossed the 100 mile point with Sri Chinmoy AC member Rasmivan Collinson being the 16th person.